So on Saturday night we decided to try out a "new" bar. I think it's actually been open for a few months, but we're slow like that. 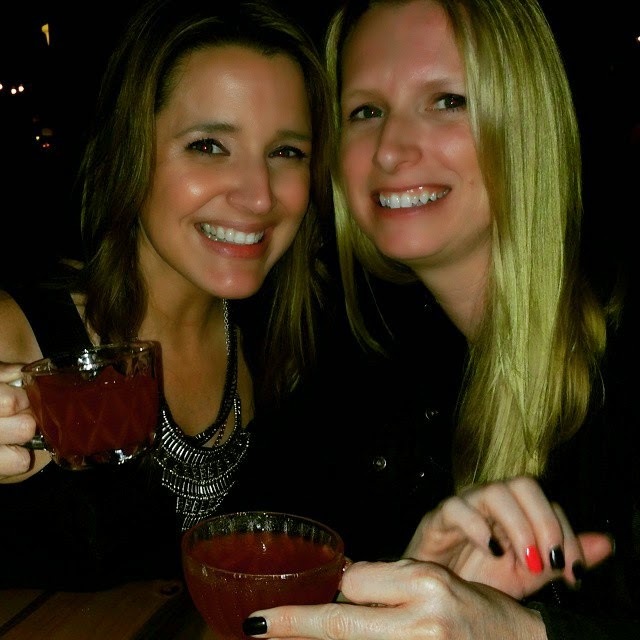 It's called Punchbowl Social & it's like a kid's bar for adults. Sounds weird but it's actually pretty fun! They have bowling, games, etc to play while you enjoy some adult beverages. It was disgusting and we all poured ours back in and called the server over. Anyway we all ordered good ole' beers and had a great time.